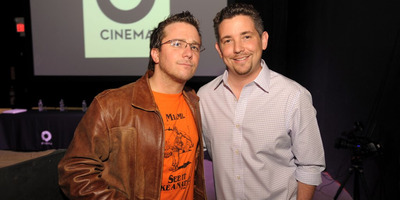 Rakontur(L-R) Director Billy Corben and producer Alfred Spellman. When criminals get out of prison, they want to tell their stories to Corben and Spellman. Whether it’s the refuge for retired mafia kingpins of the past, or most recently O.J. Simpson’s likely new home once he’s released from prison in October, The Magic City has never been able to shake its notorious reputation. For Corben and Spellman, memories of being kids in Miami include racing home after suddenly coming upon a massive drug bust on their way to school and realising that all their neighbours suddenly were driving around in fancy cars, had big boats, or were building additions on their houses — all while the rest of the country was going through a recession in the ’80s. When the two grew up (they have known each other since the 9th grade), and decided to get into making movies through their production company Rakontur, they didn’t set up camp in Los Angeles or New York City. They stayed put in Miami and decided to tell the taboo stories of the city. The first: making the real-life “Scarface” movie. It was a story Corben and Spellman felt had been glamorized in movies and TV, but never told the real way in documentary form. 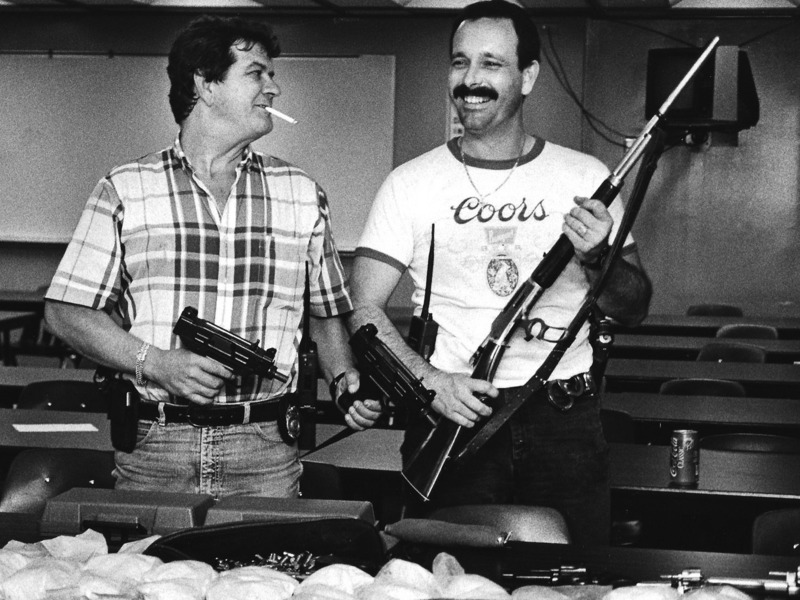 They planned to do that with “Cocaine Cowboys” — tell the story through the accounts of the people who were there. And not just on the law enforcement side, but the underworld as well. And that’s what happened to Corben’s cousin on a sunny Miami day in 2003. While Corben and Spellman were beginning their research on the movie, Corben got a call. “My cousin called me and he said, ‘Do you know who Jon Roberts is?’ And I’m like ‘No, but let me ask the office.’ And Alfred yells out, ‘Yes! '” Corben said. In his research, Spellman had come across the book “The Man Who Made It Snow,” and in it Roberts is featured as a former New York City club owner who moved down to Miami to deal marijuana, and ended up being one of the major players dealing cocaine for the Medellín Cartel. “It turns out Billy’s cousin met him at a pool and Jon wanted to know if we wanted to do lunch and meet,” Spellman said. Up until this point, Corben and Spellman had hit closed doors whenever it came to talking to the people behind the cocaine that flooded into Miami in the 1980s. By the early 2000s “Scarface” was a bonafide classic constantly referenced on TV shows and rap songs, but for people living in southern Florida, the topic was still a sensitive subject. “In Miami, you didn’t talk about cocaine, it’s just an era that had never been talked about,” Spellman said. “My grandfather, who was a real estate developer in Miami Beach and South Florida, he was appalled we were doing the movie,” Corben said. But after a sit down with Roberts, in which they explained to him that the movie would not feature a narrator, or have an agenda, and instead would be focused on the first-person accounts, Roberts was on board. And Roberts’ partner, Mickey Munday, a modern-day pirate who was in charge of smuggling the drugs into Miami through air and sea, quickly followed. Corben and Spellman realised they possessed a tool that the former gangsters desperately needed to get back on their feet after years in prison: notoriety. After snagging Corben and Spellman, the filmmakers now had law enforcement, newspaper reporters, and smugglers all retelling how cocaine got to the shores of Florida. But they still didn’t have any Colombian enforcers. Through the help of a homicide detective, Corben and Spellman reached out to three hitmen serving prison sentences. One was a man convicted for the murder of Barry Seal, the drug smuggler for the Medellín Cartel who Tom Cruise will be playing in the upcoming movie “American Made.” They also reached out to Miguel Perez, who is featured in “Cocaine Cowboys” as a hitman who once killed a target at an airport in broad daylight with a bayonet. “This guy was described to us by a veteran homicide detective in the documentary as one of the scariest people he had ever encountered in his life,” Corben said of Perez. The third person was Jorge “Rivi” Ayala. An enforcer for drug lord Griselda Blanco, aka “The Godmother,” Ayala was unique to the other hitmen the filmmakers reached out to. Why? Because Ayala had turned on Blanco and cooperated with authorities. Instead of getting the death penalty, he had immunity and could speak about over 20 homicides instead of just the one he was convicted on. For five to six hours a day, for three visits, Corben and Spellman, along with a film crew, visited Ayala. 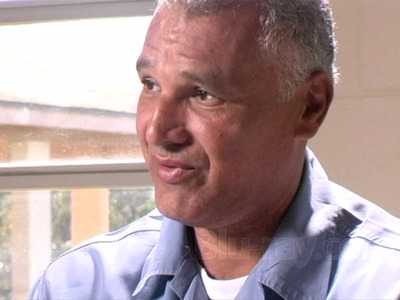 And what they got from the interviews is some of the most compelling and memorable footage of “Cocaine Cowboys.” Ayala held nothing back as he talked about the people he killed and how insane his boss, The Godmother, was. After “Cocaine Cowboys” premiered at the 2006 Tribeca Film Festival, the movie was bought by Magnolia Pictures. Though its theatrical release wasn’t that impressive, the movie would later gain a loyal following on the bootleg market, and quickly became a popular title in the hip-hop world. The movie has since found even more fans on Netflix and airs on movie channels like Showtime. That has made Corben and Spellman’s job of landing interviews with shady characters much easier. A major reason why “Cocaine Cowboys 2,” which delved deeper into the reign of Blanco, was made is because the main subject of the movie, Charles Cosby, saw that the promotional material for “Cocaine Cowboys” had a photo of him and Blanco. Cosby reached out to Spellman to get the photo, which led to the two talking and eventually deciding to do a movie. And their two movies released in 2011, “Limelight” and “Square Grouper,” were made when the subjects reached out to the filmmakers directly. 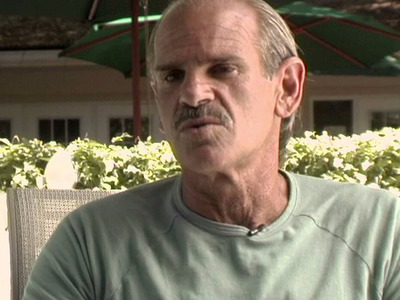 In the case of “Square Grouper,” main subject Robert Platshorn’s first call after 29 years in prison for marijuana smuggling was to Corben and Spellman. “We say, ‘When you get out of prison the first call you make is to your mother and the second is to Rakontur,'” Spellman said. But the pair hasn’t landed every movie idea they have gone after. The duo tracked down Rosenthal, who suggested they meet at the posh Joe’s Stone Crab in Miami Beach. “So a two-hour, $US250 lunch later, we walked out with a definite maybe,” Spellman said. Two more very expensive lunches followed, including one in which Spellman had to move Rosenthal’s car so it wouldn’t get towed — “I’m walking to the car and I’m thinking, ‘Are people still after him?’ I took a deep breath and started the car,” Spellman said — but they were still at a stalemate. Months after the final lunch, Rosenthal died. “Funny enough, a month or so later I have lunch with an FBI agent we know, and I was spitballing ideas with him, and I told him the whole story about Lefty and he looked at me and paused and said, ‘He was the biggest snitch we ever had. He ratted on people until the day he died.’ So I realised he was still an asset of the agency and didn’t want to put himself out there with doing a movie,” Spellman said. Corben believes what has made them successful over the years is they are completely honest with their subjects. They don’t have fixers or field producers trying to track people down and convince them to be in the movie, like other movies and TV shows. It’s just Corben and Spellman building the relationships. “You’re dealing with people who would be very upset if we weren’t truthful,” Spellman said. The duo aren’t done with the “Cocaine Cowboys” franchise. A third one, which will focus on a Miami Cuban crime family headed by Willie Falcon and Sal Magluta, is currently being made into a six-hour miniseries. But before that, there will be another documentary we’ll see from them. At the moment they are keeping that under wraps, but you can bet it will be set in Miami and involve shady people. “All I’ll say for that one is the people called us on the way to prison and then on the way out,” Corben said.